Back in the 1970s, the Evening Capital newspaper, for which I delivered newspapers and my father, Art, was the classified ad department manager, had a contest where if you signed up a certain number of new customers, you got to chose from a list of prizes. 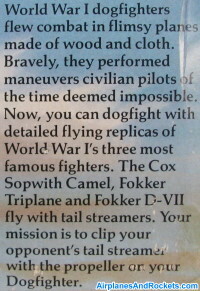 The one I coveted was a set of Cox WWI airplanes. 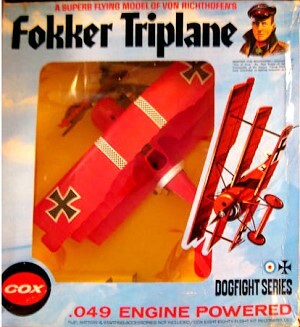 I know it included a Fokker DR.I triplane, a Fokker Dr.VII biplane, and a Sopwith biplane. 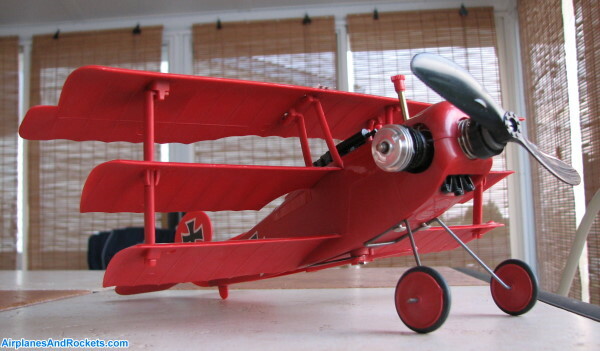 If you can find any of those models now, they are selling for a couple hundred dollars each on eBay. 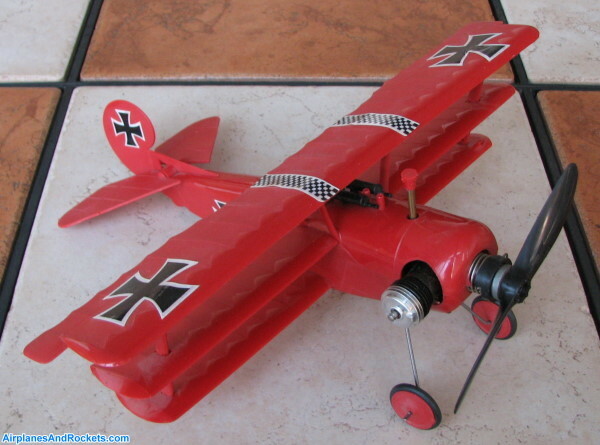 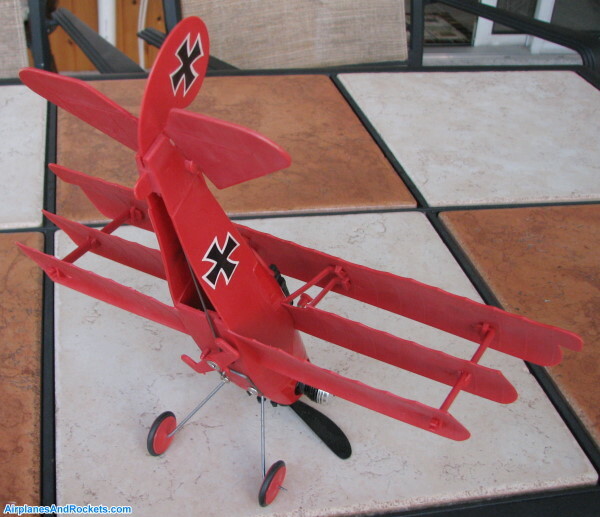 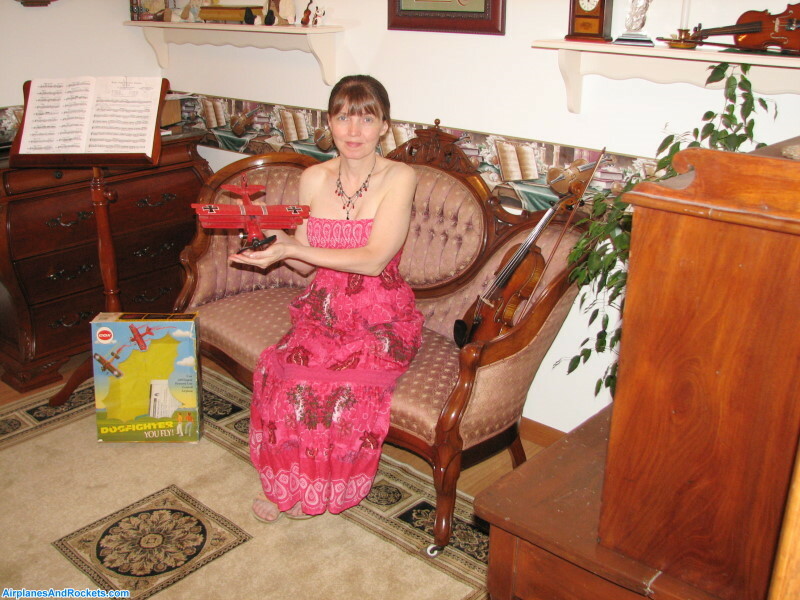 In June of 2011, I was fortunate enough to win an auction for a Fokker Dr.I triplane. 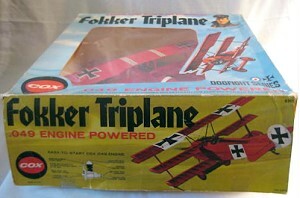 The model is in never-flown condition and included the original box. 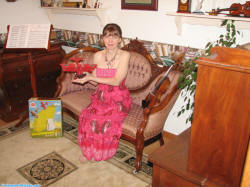 Melanie is holding it in the photo. 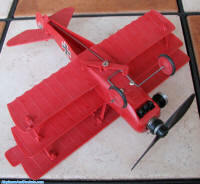 Photos of the box, showing the full set of three control line airplanes, are below. 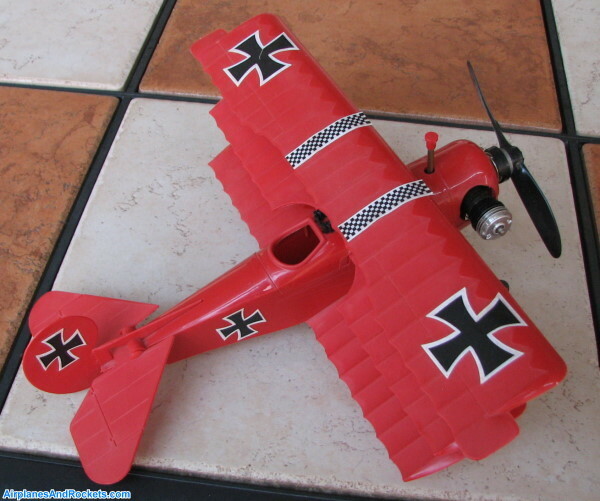 There are also detail shots of the triplane. 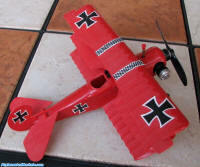 Now, along with my Fokker D.VII biplane, all I need is the Sopwith Camel to complete the collection.